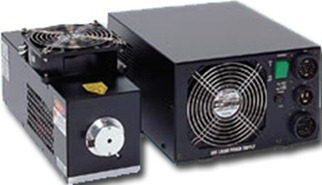 Dynamic Laser provides repairs and service for Showa Optronics Co., Ltd. (SOC) Air-cooled Ar laser systems commonly found in Olympus confocal microscopes. We pride ourselves in offering fast, reliable, and competitive service for nearly all makes and models of argon, krypton and mixed ion-gas lasers. Our replacement laser tubes are guaranteed to meet or exceed the original manufacturer’s specifications. This entry was posted in Uncategorized and tagged Argon GLG3135, argon laser tube, argon laser tube replacement, laser repair, laser services, laser tube, model GLG3135, olympus confocal microscope, showa, Showa Optronics laser, showa optronics laser argon glg3135 150mw. Bookmark the permalink.